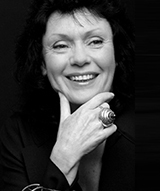 Kerry Gardner is a Writer/Director of Australian documentary films on art, literature and design subjects. She holds a Masters in Film and Television from the VCA/The University of Melbourne. Currently, she is Chair of the Venice Foundation and is the first Australian appointment to the board of Global Fund for Women (2017), is the third Australian appointee to Women Moving Millions (New York) (2017), and sits on the Asia Pacific Acquisitions Committee of The Tate. Her past directorships include the Australian Children's Television Foundation, and the Museum of Contemporary Art Australia. She is a Founding Patron of the Lorne Sculpture Biennale and Ambassador for the Natalie Miller Fellowship for Women in Film. She is also member of the Arts and Humanities Committee of the Myer Foundation / Sidney Myer Fund, and Global Ambassador (Asia Pacific) for the Global Fund for Women in New York. 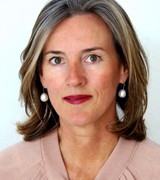 Her past board directorships include the Australian Chamber Orchestra, Victorian Women’s Trust, Deputy Chair of both Heide Museum of Modern Art and the Malthouse Theatre Company, the Australian Environmental Grantmakers Network (Steering Committee) and director of the Great Barrier Reef Foundation. 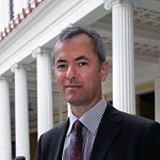 Dr Gerard Vaughan was Director of the National Gallery of Australia from 2014 to 2018. A graduate of the universities of Melbourne and Oxford, his career has been divided between academia and the world of museums and galleries in both Australia and the United Kingdom. As an art historian his interests are broad, concentrating on the social history of art and specialising in the study of taste and art collecting, both private and institutional. In 1994 he became inaugural Director of the British Museum Development Trust in London, where he was closely involved in planning, and funding, the rebuild of the British Museum with Norman Foster’s Great Court at its centre. He returned to Melbourne in 1999 to become Director of the National Gallery of Victoria with a brief to oversee the gallery’s complete redevelopment, also undertaking new programs for major exhibitions and collection development. After stepping down from the National Gallery of Victoria in 2012, Dr Vaughan returned to academia for two years as the Gerry Higgins Professorial Fellow at the Australian Institute of Art History at The University of Melbourne. 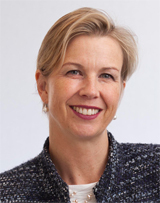 Alison Inglis is an Associate Professor in the Art History program at The University of Melbourne, and is a Co-Director of the Australian Institute of Art History. She teaches, researches and publishes in the areas of nineteenth-century British and Australian art; artists' materials and techniques; and museum studies (especially the history of museum collections and exhibitions). Her experience in the field of art curatorial studies is reflected in her current membership of the Museums Board of Victoria, and of the Duldig Studio Board. Former Board memberships include Heide Museum of Modern Art (2006-2014); and National Gallery of Victoria Council of Trustees (1995-2004). She is a former Associate Dean for Development in the Faculty of Arts (2005-2007) and Head of the Art History program (2008-2010). Alison was appointed an Emeritus Trustee of the National Gallery of Victoria in 2010 and Fellow of Trinity College, Melbourne in 2015. 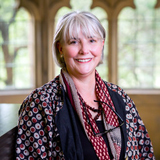 Professor Anne Dunlop was appointed to the Herald Chair of Fine Arts in the School of Culture and Communication in 2015 and is a Co-Director of the Australian Institute of Art History. 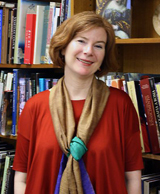 Her research and teaching focus on the art of Italy and Europe between about 1300 and 1550, including the role of materials and technology in the making of art, and the relations of Italy and Eurasia in the years after the Mongol Conquests. Dunlop is the author or co-editor of six books, including most recently Antipodean Early Modern: European Art in Australian Collections, c. 1200-1600 (2018) The matter of art: materials, practices, cultural logics, c. 1250-1750 (2014) and Andrea del Castagno and the Limits of Painting (2015). Dunlop has been a fellow of the Getty Research Institute in Los Angeles, and the Center for the Advanced Study in the Visual Arts in Washington DC. She has also served as Visiting Professor at both Peking University and Zhejiang University; and in 2016 she was a Visiting Professor at Harvard’s Villa I Tatti Center for Renaissance Studies, working on a commissioned book with the working title Global Renaissance. Fiona has over twenty years experience as a finance and professional services executive. Fiona is the former Client Director at the Myer Family Company, Australia's preeminent family office providing long-term wealth management advice in the ultra high net worth market. There she was responsible for developing new family client relationships, providing succession and investment strategies, and building brand presence. Prior to this she has held a number of senior executive roles in banking and finance including Chief Operating Officer and Director - Structured and Project Finance for the ANZ Investment Bank. Fiona has both reported to and served on commercial and not-for-profit boards and currently sits on the Australian Institute of Art Historians, Gertrude Contemporary Gallery and the Audit and Finance Committee for the Juvenile Diabetes Research Foundation. Her extensive experience in strategic leadership, commercial acumen and risk and governance expertise brings a unique and valuable skill set to the family and corporate boards she works with. Michael Brand joined the Art Gallery of New South Wales in June 2012. Prior to his appointment, he was consulting director of the new Aga Khan Museum, which opened in Toronto in 2014. Dr Brand currently serves on the Visiting Committee of the Harvard Art Museums; the International Advisory Board of the State Hermitage Museum in St Petersburg; and the Australian Institute of Art History. He is a past member of the Governing Board of the Courtauld Institute of Art in London. 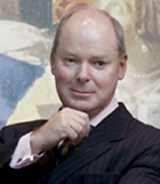 Fred Grimwade is an Executive Director of specialist corporate advisory and investment firm, Fawkner Capital. He is a graduate of The University of Melbourne (B Com, LLB (Hons) and also completed an MBA at Columbia University in New York. 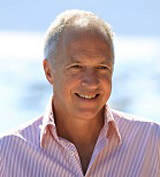 During his career, Fred has worked with leading international companies, including Goldman, Sachs & Co. in New York and Sydney; Western Mining Corporation; Colonial Mutual; and was Head of Private Capital for Colonial First State Investments. From 1998 to 2006 he was Managing Director of the Colonial Agricultural Company, and a non-executive director of AWB Limited from 2008 to 2010. 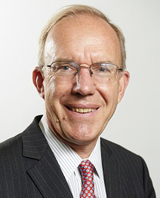 He is currently Chairman of CPT Global; a Senior Fellow and Life Member of the Financial Services Institute of Australasia (Finsia); Fellow of the Australian Institute of Company Directors; Fellow of Chartered Secretaries Australia. Fred is also Foundation Chairman of Melbourne Girls' Grammar School and a Director of the Ian Potter Museum of Art at The University of Melbourne. Fraser Hopkins worked for many years as Managing Director of two consumer goods businesses which are now owned by multinationals. Fraser is a respected art collector and benefactor. He is also a Trustee of the Campbell Edwards Charitable Trust, on the MCA Foundation Council and the board of SCEGGS Darlinghurst. Fraser graduated with an Economics Degree from Monash University and now resides in Sydney. Over the years Fraser has been actively involved with numerous private company boards and industry associations. Dr Gene Sherman AM (PhD, University of Sydney, 1981) is Founder, Executive and Artistic Director of the Sherman Centre for Culture and Ideas (SCCI), established in 2017 as a cultural-exchange platform focusing on contemporary fashion and architecture. She assumed this role following twenty-one years as Director and Proprietor of Sherman Galleries (1986-2007) and nine years as Chair and Executive Director of the Sherman Contemporary Art Foundation. Dr Sherman is currently Adjunct Professor, UNSW Art & Design, a Member of the Tate Asia-Pacific Acquisitions Committee and currently co-Chair, a Member of the Tate International Council. Dr Sherman regularly lectures to a wide range of institutions on topics such as gallery management, the art of collecting, philanthropy, private foundations and contemporary Japanese fashion.